With the recent changes in the regulations governing stem cell research, much of the American public is asking, "how is the human embryo related to stem cells?" Some have only a vague idea what a stem cell actually is and many do not know why scientists are so interested in studying them. Stem cell treatments and therapies for various diseases have the potential to save lives. Contrary to what Americans may think, these discoveries do not necessarily have to cost potential human lives. To answer the question "how is the human embryo related to stem cells," it's necessary to understand what a stem cell is. Simply put, a stem cell is a type of non-specific immature cell that has the potential to develop into a specialized adult cell in the human body. The body can only go so far in healing itself; once a tissue is destroyed or its DNA is damaged, that part of the body can no longer function. For example, heart attacks kill cells in the heart and the damage is irreversible. However, if the heart could be prompted to produce new heart cells to replace the dead cells, the person might have a chance at a longer, fuller life. Stem cells could also potentially be used to regenerate fully functioning nerve cells for spinal injury victims or brain cells for those with brain damage. Using stem cells, scientists can already produce new corneas for blind persons and they can also grow the tiny hairs in the inner ear, a possible treatment or even cure for some types of deafness. Stem cells are present in adult humans and many people wonder why scientists can't simply use adult stem cells for their research. The reasons for this lie in the differences between adult and embryonic stem cells. Adult stem cells are only able to develop into certain types of body cells. For example, a hematopoietic stem cell is capable only of forming blood cells. Limited numbers of stem cells exist in many body organs, including the brain and the heart. The small number of available adult stem cells and the limits on what cells they can eventually become are a few of the reasons scientists use embryonic stem cells for research. The stem cells found in human embryos can develop into any type of body cell and scientists call this unique ability pluripotency. These pluripotent stem cells divide quickly and in large quantities, making them somewhat easier for scientists to study. 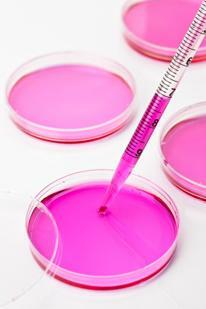 Most embryonic stem cells come from embryos stored at in vitro fertilization clinics. The embryos are donated by the couples who have stored them, after an informed consent process. Although information is scarce on the subject, some embryos are donated by women who are having an abortion after the same type of informed consent process. While most people realize that stem cell research has some sort of medical value, many object to the use of embryonic stem cells because the embryo's inner mass of cells is removed to allow scientists to grow and culture the stem cells. This removal destroys the embryo, which is the part of embryonic stem cell research that pro-life Americans find unacceptable. It is important to note that creating an embryo through artificial insemination for the sole purpose of research is completely illegal under federal law. Scientists cannot create "guinea pig embryos." As of this writing, the federal government does not fund the creation of new stem cell lines, but does allow federal funding for research on privately-created stem cell lines. Scientists have begun exploring a technique that genetically reprograms adult stem cells to become like pluripotent embryonic stem cells. This technique could eventually eliminate the need for embryonic stem cells, but only if the induced pluripotent stem cells are not significantly different from human embryonic cells. Currently, scientists are looking into using induced pluripotent stem cells to model the effects of disease on the human body and to conduct research on new drugs and their effects on the human body. With the development of techniques like this, perhaps future stem cell researchers will not face the controversy and heated debate of their predecessors.